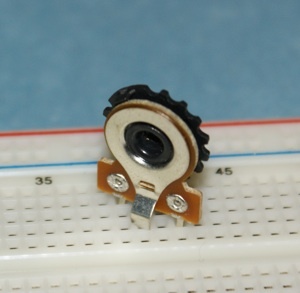 10k Linear Trimming Potentiometer, breadboardable (see photo). Good for analog to digital converter input. Use this to set a variable input for control.